← The Most Regressive Tax in Texas History? 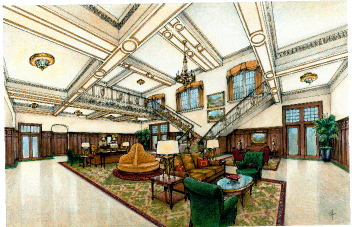 (Community Matters) A 1930’s opulent West Texas hotel being restored in Big Springs, Tx by Jeff Trigger and team – Hotel Settles. Steven and I had dinner at Congress Restaurant last night and Jeff was telling us about restoring this hotel, ballroom and bar just 30 minutes east of Midland. Of course, I’ll be staying there and commuting into Midland & Odessa during some of my future trips.